A couple of days ago we celebrated a special anniversary, so I thought we would try new surroundings for our dinner out. I chose the Brentwood Resort and Spa, Seagrille Restaurant in Brentwood Bay. A few days we picnicked on the beach next door and the place looked amazing. I imagined a dinner on the restaurant deck with the sun setting over Brentwood Bay. The best laid plans of mice and me! It clouded over and rained a bit when we arrived, but the Inn is well designed and we were able to sit on the sun deck and enjoy the beautiful surroundings. The entire building is beautiful and we decorated. There were plenty of staff and the service was good. The food services at the Resort consist of the Seagrille restaurant and Sushi Bar. You can watch the amazing staff prepare the sushi before your eyes. Since sushi was a specialty, we started our meal with drinks and the dynamite roll with tempura prawns, tobiko, tamago and cucumber. Not only did it look amazing it tasted even better. For our main course, Linda had the organic free range chicken with asiago, prosciutto, rocket salad and balsamic pan jus. It was absolutely delicious. It was like eating chicken for the first time! 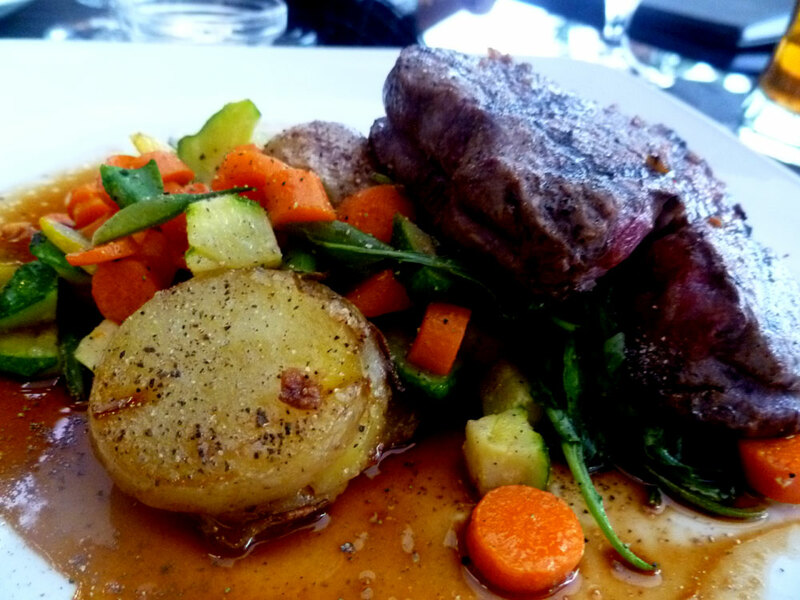 Ron chose the 6 oz AAA Alberta Filet Mignon, with warm potato salad, roasted garlic and peppercorn sauce. The beef was very tender and cooked to perfection. 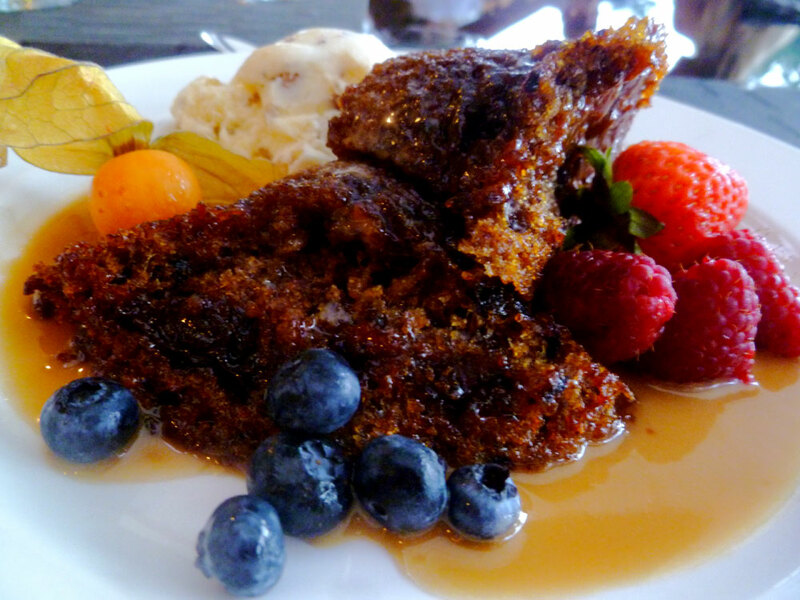 Ron followed his main with a Sticky Toffee pudding which was the best we have ever had. Linda finished her meal with an espresso martini, which certainly fit the desert menu. It was delicious. We took a quick tour of the facility which has amazing rooms with spectacular views, a great spa and a lot of services on the water in the bay. This is such a beautiful resort. We would highly recommend it for a great dinner. We have yet to try the pub, but we will be back to do so.